InshaAllah, in a very simplified and very basic language, doesn’t have to be complicated, but has to be understood. That we are a people who are understanding energy. A good and solid understanding of energy should lead to a happy life, InshaAllah, a guarded and protected life, InshaAllah. That it becomes so simple in our day and in our time, when you reduce everything to the understanding of energy. 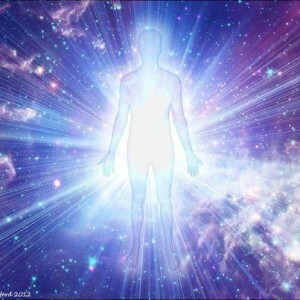 That everyone has an energy and there is so many energies surrounding us, that we are an energy being. We are a spiritual being. 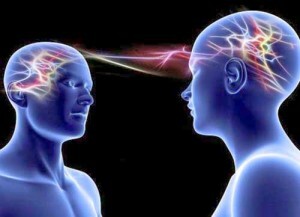 Every communication now is through energy, that every radio wave, microwave, every type of television signal, transmission- all of these are energies. That when you deduce them and reduce them to the core, it’s energy. 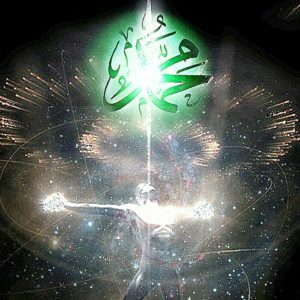 Most powerful energy is the human, insan, “Wa laqad karamna Bani Adam,” that Allah says, “I have honoured your creation”. One of the true honours of the creation is the amount of energy that flows from the soul, from the being, from the nafs, from everything around insan (human being). A very simple understanding of the tariqas (spiritual paths) is to perfect the energy. Everything that they give us, every practice that is given to us, every teaching of Holy Qur’an, of Hadith an-Nabi ﷺ , of all of the amal and the actions- all reduced to energy, building our energy, perfecting our energy and building a shield of perfection and protection around us. When we begin to think at the level of energy, then we begin to understand cause and effect. That if all my thinking is based on energy, that am I producing enough positive charge? Are my actions producing a positive charge? Are my prayers, my meditation, my zakat (charity), my pilgrimage, all my amal, all my actions- are they producing enough positive charge? Then I keep a mental understanding, within my mind and my heart about roughly what my positive charge is. Then begin to take an account and hisab of our lives and our everyday action. That everywhere I go and everyone I meet and everything I come in contact with, also has an energy charge. The people that I work with, the people that I communicate with, the people I go to school with, the people that I socialize with – all of them are producing an energy. Now if their energy charge is positive, you feel an abundance of good feelings good energy. By coming to the masjid, coming to the ahlul zikr (People of Remembrance), coming to the holy places, people feel a positive energy and they don’t really rush to go home. They stay within that energy, they are being charged within that energy. 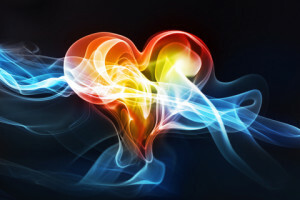 It means that the tranquillity within the heart is that the heart becomes very subtle. It begins to understand with the little bit of zikr, it feels the energy. It knows that when it goes somewhere, it’s feeling a heaviness, that this place I went, it’s very heavy. The heart is not going to lie; it’s telling you the charge that is being emitted from the people, from the place, from that location is a very heavy energy. If it’s not positive and giving to you, it’s very simple: it must be negative and taking from you. Means that if we go enough places that take energy, your battery becomes empty, my battery becomes empty. The more this negative charge goes, the more this negative charge goes, then as the battery becomes empty, your field of protection is now dropped. And again you will see the sign within dunya and within ourselves. Dunya, the earth, has a field of protection they call the Van Allen belt. They say that that belt of protection is actually from the core of the earth, the magnetic core of the earth, that the earth is spinning. 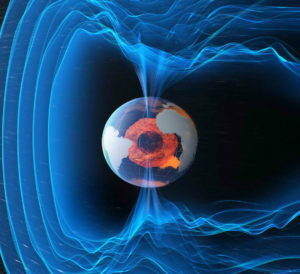 With its magnetic core, the iron within the magnetic core is producing an energy. 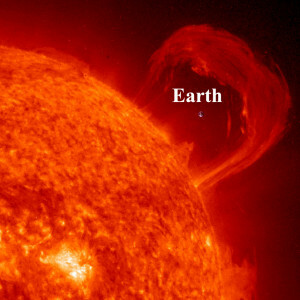 This energy is emitting and providing a protection for the earth. Allah teaching, ‘You are the same’. Your skin is like the ard (earth), you are from clay. And you have very holy ingredient within your being which is iron. That iron is what makes your blood to be red, with pumps through your blood, moves into your heart and the heart’s zikr, the heart’s energy, is stamped upon the iron. It’s not stamped upon the water; water just allows energy to flow. But what really captures and holds the energy of the body is the blood and the iron within that blood. The perfection of insan and the perfection and purification of the iron within the body is the perfection of its energy, its energy field. The energy that it begins to produce and provide a protection against an attack. When the energy is depleted and the energy goes down, or there has been a major sin or transgression against the body, immediately the veil of protection is dropped and shaitan is piercing because he is waiting. Very basic understanding, that Prophet ﷺ is teaching: it’s your life, is a state of vigilance. At one point or some point in your life you wake up and realize, that this fight with shaitan is very real, that this fight with shaitan is constantly against me. He is waiting for me to make a mistake and full attack. You watch movies where there is a hole blown into the castle and every type of shayateen is running through that hole. And as soon as the shaitanic attack comes, it begins to drop the energy of the person. It begins to make the person to come down because he’s now reducing the energy force of that servant. When the energy force is reduced and reduced and reduced, the abundance of negative charge begins to then change the character of that person. They become very negative, they become very angry. A sign of that negative energy is that what zikr now is moving through their heart is zikr of a horrible language and horrible tongue. It’s no longer the zikr of Allah and the praising of Sayyidina Muhammad ﷺ, because the negative energy has overtaken that body. They teach us, so that when you go out and about, you see. You turn on TV, you turn on movies, you see- but how they talk like that, nonstop?! Their zikr is the f- word and every word that they speak is a cursed word on every word that they speak, means shaitan is in their heart and all their zikr is the zikr of shaitan. And that is the only energy that they are producing. That as soon as we say ‘Istaghfirullah al’Azim wa atubu ilayh, ya Rabb‘ (I ask your forgiveness O’ Allah, the Most Magnificent, and I repent). Allah’s reply, “Bismillahir Rahmanir Raheem”- ‘In the Name of My Mercy and My Compassion”, I’m forgiving you; I’m forgiving you; I’m forgiving you’. So all day long busy with istighfar: astaghfirullah, astaghfirullah, astaghfirullah. After we cleaning and cleaning our self, cleaning our loved ones, cleaning everyone that we know from our community. Everyone that we are coming in contact with, their energy is affecting us. Again, very simple energy- when you put out a positive charge, positive charge by its nature picks negative charge because two positives repel. So the positive charge goes out and the negative charge is attracted. That is what Allah describes as a khidmat (service). 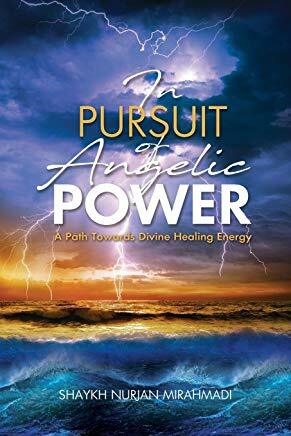 ‘If I’m going to give you a positive charge, you are your brother’s keeper.’ That if you are an abundance of positive charge, you are responsible. You go out amongst mankind and their negative energy going to be dressing you. So then now, our zikr is not only by choice. It’s a responsibility. It’s in Allah’s Divinely Service, unless you want to be loaded by negative energy. So then just the understanding of energy. ‘Ya Rabbi dress me from these positive lights, dress me from these positive lights’. Then they begin to teach: your zikr, your awrad, your salawats, they are a protection for you, they are a dressing and a blessing upon your soul and you begin to purify and perfect that light. Then they begin to teach: wherever you are going, there is a light, there’s an energy. then begin to take a hisab that this energy I’m going out, is it positive? Then Alhamdulillah that that association that time was a positive charge? But if everywhere I’m going are negative charges, I have to increase my zikr, I have to increase my istighfar, I have to increase my salawat. I have to constantly make my wudu (ablution), I have to go home and make my washing, or my shower. If the abundance of energy was too much, too heavy, too many sick people, too many hasud (jealous) people; you have to wash, you have to shower. You have to take away all these negative charges. And then they begin to teach us: when you have a real strong grasp of energy, they begin to teach everything produces an energy. 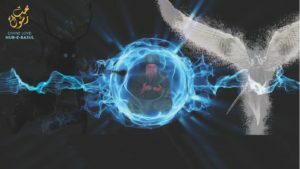 So if you watch a television show [Hub Rasul], or Sufilive and Mawlana Shaykh is making zikr, you feel the positive charge. You feel the energy, you feel the excitement, because there are mala’ika (angels) coming through, the mumin souls are coming through. All that energy is flowing and you feel the charge. So then you know in that half an hour that you were watching, you are filled with a positive charge. Now again the other side is if we watch negative and horrible TV shows, you keep watching them, you keep watching them and keep watching them, where is that energy going? And then put on top of that horrible sounds, horrible sounds, horrible sounds- where is that energy going? That is very simple energy because before you talk about it in too much of a religious term, they say, ‘Oh Shaykh, you know it’s like hocus pocus stuff,’- no! It’s very basic energy. When you are listening to somebody cursing all day long, where is that cursing energy going? It’s entering into your heart, it’s entering into your being. How are you going to rid yourself of that difficulty? How are you going to cleanse yourself and purge yourself of those difficulties? Means to take an accounting of ourselves and the energy charge that is coming in. That is the concept of, of growing up. 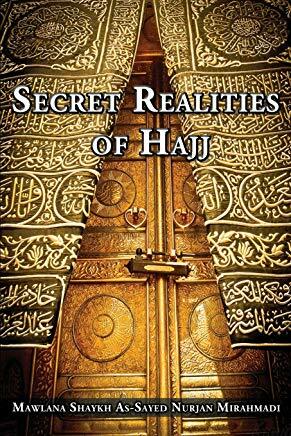 It’s the concept of coming out of heedlessness and moving towards Rijalullah (Men of God). What make the men of God, be it men or women, means that they are entering a state of maturity. When you enter a state of maturity, you begin to realize everything has a consequence. Whatever I’m doing, either I’m making the energy or losing the energy. If I’m listening to these sounds, I am most definitely losing the energy, because satan is next to me making his chanting, chanting, chanting. I’m listening to it, absorbing that negative energy and my positive energy [goes]. “Qul ja al haqq wa zahaq al-batil. 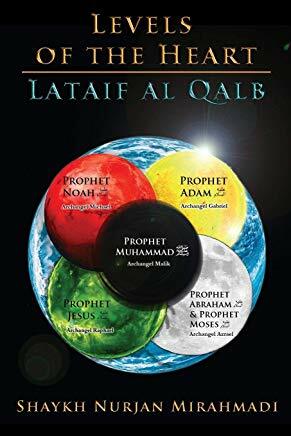 (The truth has come, and falsehood has perished.” (Quran 17:81) Either the haqq is coming and falsehood is going, or you are inviting falsehood and the haqq is going: the two don’t stay in the same place. So when Prophet ﷺ was sitting and somebody became angry, Prophet ﷺ would get up and walk away, because he said, ‘I cannot be in the proximity of satan’. As soon as you lose the character and the satanic influence comes, the reality of Prophet ﷺ begins to move. Then the guides begin to teach us that: everything has a consequence, that what you’re doing and what you’re hearing and what you’re watching, it’s dressing you. And you watch enough of these crazy shows and you begin to emulate and copy them. You see people change. They watch like a crazy biker movie and they begin to wear the rings that they wear. They begin to talk like they talk, they begin to walk around and dress like they dress. They don’t realize they are being influenced by that satanic reality. And it begins to dress them because that is all that shaitan wants. Then they begin to teach: make your istighfar (seek forgiveness), go make your zikr and most definitely attend the circles of zikr. The circles of zikr are a ni’mat (blessing) from Allah, from Prophet ﷺ as a cleansing and a washing. They are the circles of washing. That everybody’s coming with their burdens, bringing those burdens into the centre. 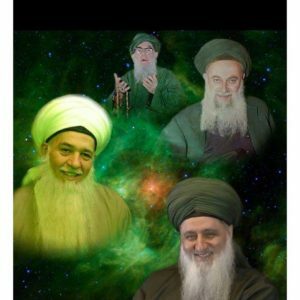 Alhamdulillah with barakah of Sultan al-Awliya Mawlana Shaykh Muhammad Nazim al-Haqqani, and his representative, Mawlana Shaykh Hisham Kabbani, they are responsible, their du’a is moving. That Prophet ﷺ’s nazar is looking and Allah’s Support is moving and descending. As soon as Allah’s Support comes, the negativity is lifted. So tremendous cleansing in the associations. The guides begin to teach us that: everything we are doing is about energy. Once I take a personal account, that ‘Ya Rabbi, am I building my energy that day? Am I reducing the loss of my negative charge? Am I watching crazy, nasty, horrible things, listening to horrible things? I lost my charge for that day.’ If you have no charge for the day, you have no protection for your home, your wife and your children. Then what are you considered in Prophet ﷺ’s eyes? It’s not a man. A man is somebody who has energy and has a protection to protect himself, his wife and his children with his energy. It’s not about everybody for themselves. It’s about building your energy, building your protection. When you have enough charge for yourself, enough for your reality, enough for everything; then what Prophet ﷺ was saying, “Ummati, ummati, ummati” (my nation, my nation). Prophet ﷺ wasn’t teaching everybody to just you take care of yourself and rest go to jahannam! Means the Rijal (men) and what they are teaching for what is coming; what is coming into this dunya and what’s opening into this dunya is unimaginable difficulty. If my circle of protection is enough, enough for myself, then who’s protecting my wife and children? Or wives, who is protecting their children, that they don’t have a husband? Means then everyone’s amal (deeds) should be strong enough for themselves and they take a daily hisab (an account). That, ‘Ya Rabbi, am I doing enough good? 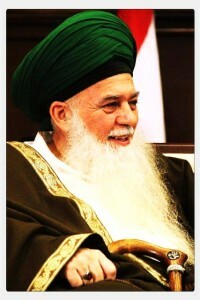 Is my amal good, my love for Prophet ﷺ strong? Am I doing my wazifah, am I doing my awrad, am I reading my juz of Qur’an? Am I reading my Dalail al-Khayrat [book of praising on prophet ﷺ)? Am I doing everything I possibly can? If not, give me himmah (zeal) to do more’. And begin to understand the energy charge, energy charge, energy charge; and then the selflessness begins to open within the heart. ‘Ya Rabbi, that now I’m not feeling a sense of protection for my loved ones. Who’s going to watch over them? What type of energy is going to protect them? 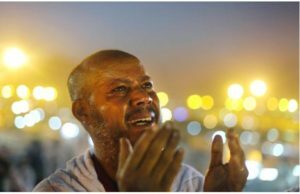 What’s going to happen to all of them?’ Then my ibadah (worship) should be increased again, increased again; because we are spiritual people more than physical people. Now if you turn on the TV, you watch physical people buying guns. They are not buying 1 gun, they buy 10 guns, they buy 50 guns, 10,000 rounds, 20,000 rounds – this is from lack of faith. What they fear is coming they think that they can solve it with force because they have no iman. Allah saying, ‘What is coming, all the guns in the world won’t help you. If My Love is not within your heart and I haven’t signed your heart’. If Prophet ﷺ hasn’t signed the heart, if awliyallah haven’t signed the heart, you carry a bazooka with you and it won’t help you. Pretty simple: build my energy, perfect my energy. Then begin to have a sense of responsibility that kids are not on their own; I’m responsible for them. My wife’s not on her own; I’m responsible for them. I have to increase my ibadah, have to increase my worshipness. If I want to know Allah is satisfied with me, these difficulties are coming. Watch TV, watch every country in the world what’s happening to every place on earth – there is 10,000 people in one flood gone and they say even more, 100 000, they don’t want to show the numbers, in the Philippines. In every war, in every continent and every country there is a war, there is a flood, there is a disaster. ‘Ya Rabbi, am I good with you? Am I good with Prophet ﷺ ? Am I good with the olul amr– the olul amr, the unseen or seen Rijalullah– are they happy with me?’ Very simple: if they are happy with you, you should be seeing them. Because when Allah’s Rida, Allah’s Happiness dress you, you should be seeing; you will be ahl ul-basirah, the people whose hearts are opened. Allah has 4 categories: Nabi’een, Siddiqeen, Shuhadahi wa Saliheen (Prophets, Truthful, Martyrs/Witnesses, and Righteous). They are with Allah. We have 2 choices: to be either shuhada or saliheen. Means that every association, if they think that they are from the Saliheen, they must have ahl ul-basirah amongst them. They must have somebody who is shuhud (witnesses) and whose heart is open. What that shuhud is witnessing is the next one, is the siddiq (truthful). 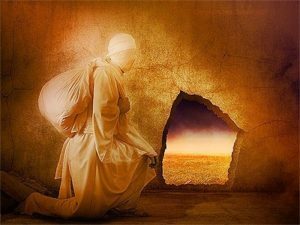 He must be witnessing the shaykhs and the masters of the tariqa: either Sayyidina Ali (as) or Sayyidina Abu Bakr as-Siddiq ق. From that siddiq, they must be directly connected to Prophet ﷺ. If their amal is correct, their actions are correct, their ibadah (worship) is correct, Allah signed their sincerity; when they practice their practices, their heart must be witnessing their teacher. 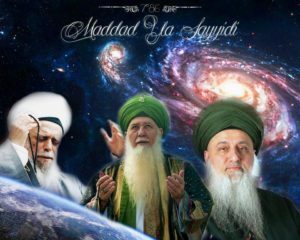 And when the teacher’s happy with them, Mawlana Shaykh is happy with them, their heart must be witnessing Sayyidina Muhammadﷺ. And at least at that level, their Islam now is entering to be real; because as soon as you say in every salah, ‘Ash hadu an la ilaha illallah wa ash-hadu anna Muhammadan RasulAllahﷺ‘ (I bear witness that there is no God but Allah, Muhammad ﷺ is the Messenger of Allah). Means you are saying that, ‘I bear witness, I see Sayyidina Muhammad ﷺ’. So it’s an imitation until it becomes real. So anyone who thinks that their group is Saliheen, that their actions are saliheen, well they must have from the shuhada (witnesses). They must have somebody whose heart is open. As a result of what their heart is open, those saliheen (righteous), their hearts will be opened. Because the practices and the amal of the one whose heart is open is what he is teaching the saliheen, so that they can be from the shuhada and connect to the energy of the siddiqs. And the siddiqs take you to the hand of Sayyidina Muhammad ﷺ. 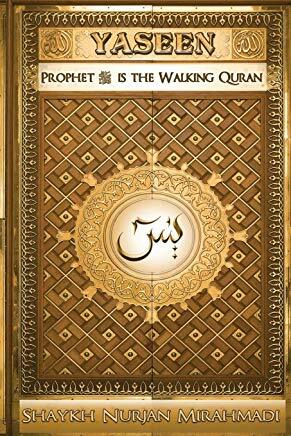 So at that time, your salah, your Islam is real, that you are witnessing Prophet ﷺ. You say ‘Assalamu alaika ayyuhan Nabi‘ (Peace be upon you O Prophet ﷺ ) and you are witnessing Prophet ﷺ through your heart. And then Prophet ﷺ is in the Divinely Presence. This is just the understanding of ‘A’udhu Billah’ , that Muharram is the opening of every month, that when we say, ‘A’udhu Billahi Minash Shaitanir Rajeem’ (I seek refuge in Allah from Cursed Satan). We are asking A’udhu Billah, asking, ‘Ya Rabbi, I’m seeking refuge in You from every shaitan‘: basic energy. If you are not seeking refuge then you must be inviting shaitan. If whatever you’re doing is not seeking refuge from shaitan, then know that you are inviting shaitan. So then that is not A’udhu Billah, that is sitting with shaitan. Basic energy: am I inviting or am I repelling? Then we begin to understand negative energy. How much negative energy people are able to produce. How important it is to understand hasad (jealousy). When we understand how powerful we are as energy people, we have to understand how powerful hasad is, what type of energy emits from hasad. Then we begin to guard our lives appropriately: watch where you go, watch who you speak to, watch what type of actions you are doing, because all that negativity is around. Our way is a humble way, a low profile way, a way in which not to attract and not to engage in difficulties. It is to build ourselves and build our practices. And to be aware that we are not inviting negativity within our lives. Subhana rabbika rabbal ‘izzati ‘amma yasifoon, wa salaamun ‘alal mursaleen, wa alhamdulillahi rabbil ‘aalameen.